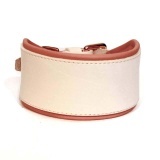 New collection is intended to fans of the simply elegant accessories and high-quality materials. 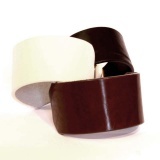 Plain and clear shapes allow excel the unique of used material. 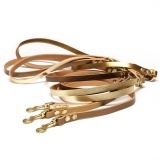 Collars from the “Simply Elegant Collection”. 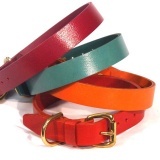 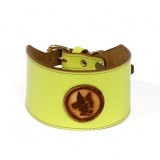 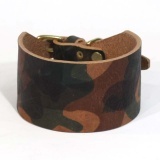 The collars are made from one layer of high-quality leather with big thickness. 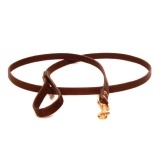 The edges of the shape are polished off and therefore harmless to the hair. 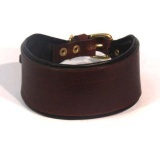 Collars from the “Simply Elegant Collection”. 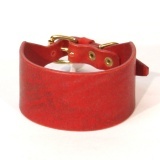 The collar are made from one layer of high-quality leather of big thickness. 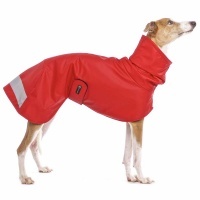 Available in classic or bright colours. 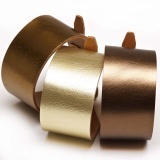 Collars from the “Simply Elegant Collection”. 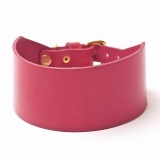 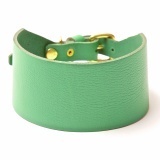 The core of the collar is made from onelayer high-quality leather with huge thickness. 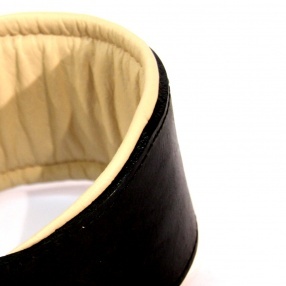 The edges of the collar are shaved off. 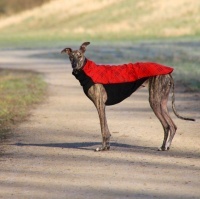 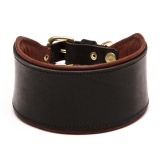 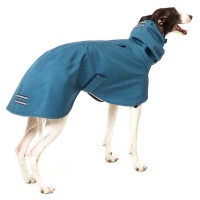 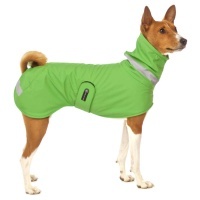 Soft padding on the inner side of the collar, made of fine leather, helps to protect dog's hair. 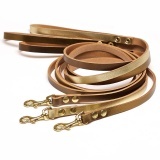 Leather lead, width 1,3 cm, length 135 cm. 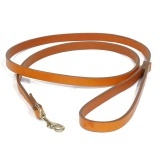 Smooth and firm leather, brass snaphook. 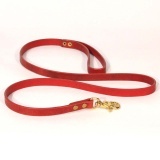 Leather lead, width 1,8 cm, length 135 cm. 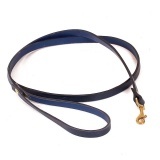 Smooth and firm leather, brass snaphook. 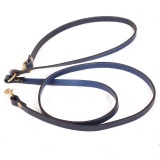 Leather lead, width 1,5 cm, length 135 cm. 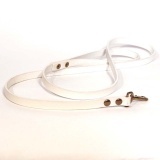 Smooth and firm leather, nickel snaphook. 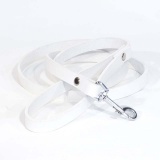 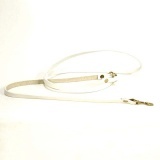 Leather adjustable lead, width 1,3 cm, length 80 + 135 cm. 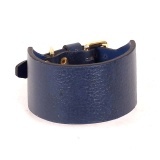 Smooth and firm leather, brass snaphooks and ring. 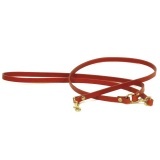 Leather adjustable lead, width 1,8 cm, length 80 + 135 cm. 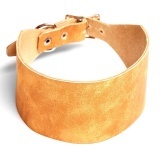 Smooth and firm leather, brass snaphooks and ring. 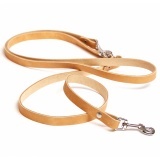 Leather adjustable lead, width 1,8 cm, length 80 + 135 cm. 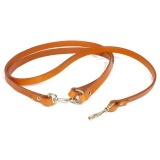 Smooth and firm leather, nickel snaphooks and ring. 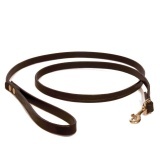 Leather adjustable lead, width 1,6 cm, length 80 + 135 cm. 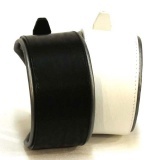 Smooth and firm leather, nickel snaphooks and ring.